With smartphone technology continuing to gain more and more ground, people are streaming videos and movies on their mobile devices more than ever. Looking at your smartphone's screen for extended periods of time can cause discomfort to your eyes. 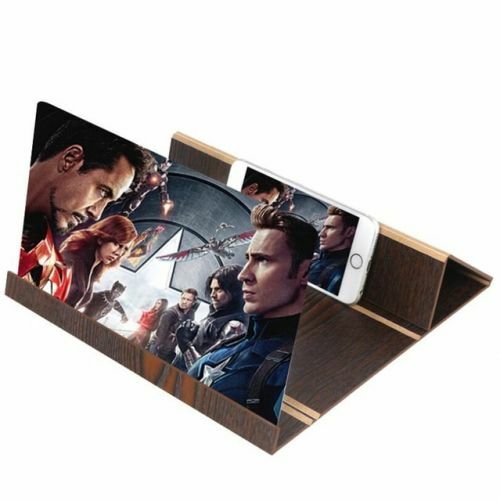 This Stereoscopic Amplifying Phone Holder changes everything! You see, the device is made with magnifying glass so you can easily watch videos, read, and much more from your phone without hurting your eyes. Plus, it's hands-free! View content with 3D high definition technology. This amazing little tool helps you watch movies in comfort and convenience. - Magnifies smartphone screen up to 4 times larger! This helps lessen strain on your eyes. - Fits most smartphones and tablets that are over 3.5-inches in size. Is compatible with most iPhones and Androids including the Samsung galaxy models. Simply email us at store@thepriceoftheirtoys.com quoting your order number and reason for return. We will then issue you a refund authorisation code and a return address.